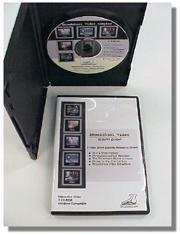 This Informative and Entertaining, DVD Video looks at several shoe related subjects. Details for each short subject video are available further down the page. Tour a US Shoe Factory that makes, English Riding Boots, Dance Shoes, and Golf Shoes. A Foot Massage is one of the nicest things you can do for Your Feet! Learn about the techniques and movements involved in foot massage. Excerpts from "The Handcrafted Shoe Book". Observe a Master Craftsman at work, making a pair of shoes, start to finish, using simple hand tools, and a human powered sewing machine. 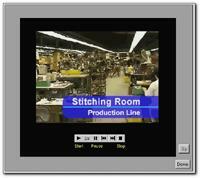 A collection of video clips from the ShoeSchool Hands-On Workshops. See students at work. Follow the process from Cut to Box, and see the various machines being used in shoe manufacturing. These machines perform the same operations as a Master Craftsman would do by hand: Cutting with a hydraulic clicker, Skiving with a bell knife machine, using a Toe Laster to pull the uppers over the shoe last. Learn some of the strokes and techniques involved in the Art of Foot Massage. A foot massage is one of the nicest things you can do for your feet. They work hard all day to support you and carry you from place to place. The least you could do to show your appreciation is give them a massage! A short version of The Shoemaker Movie. Watch a Master Craftsman Make a pair of shoes start to finish. We have selected some highlights from the full length, 65 minute video. You get to see Hand Crafting a pair of shoes - from the pieces of the pattern, to the finished shoes on display. 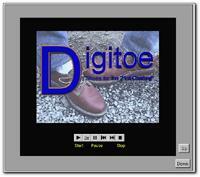 Demonstration of Digitoe Computerized Footwear Technology for Custom Made Shoes. See how this Transformational Computer Technology will change the way we market and manufacture footwear in the 21st Century! Imagine having all the shoes you want, made for your own feet, and the fit is consistent every time you order another pair. This is what Digitoe is all about. 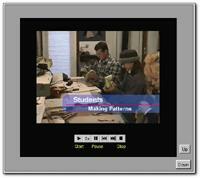 A collection of video clips from the ShoeSchool Hands-On Workshops. See students at work, using simple hand tools, learning the basics of pattern making, hand stitching, finishing, and taking pride in their work and accomplishments. Hear what some of the students have to say about their "shoe dreams" and ShoeSchool Workshop Experience!